When it comes to photo editing on Desktop there is no real competitor for Adobe Photoshop. It is just complete package with complex, competent and cohesive features. The name itself brings professional approach with it. Being the top 100 sites in the world, Adobe understands its responsibility and “need of era”. No one can exclude Android platform from their list today as far as development is concerned. Adobe is never an exception. 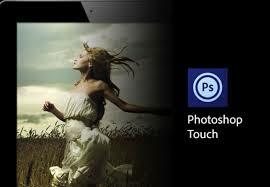 Few days back Adobe has launched its Photoshop app for Android – Photoshop Touch. It brings a standard in the process of photo editing. The app for iPhone had already been launched a year ago. So, let’s have a close insight what the app has to offer. With this app you can use popular Photoshop features, such as layers, selection tools, adjustments, and filters, to create mind-blowing images. User can improve your photos using classic Photoshop features to bring out the best in your photography. Apply precise tone and color adjustments to your entire composition, a particular layer, or a select area. You can create something classic using painting effects, filter brushes, and so much more. With Photoshop Touch, the creative possibilities are endless. You are enabled to make your images pop with graphical text. Apply strokes; add drop shadows and fades, and more. You may take advantage of your device’s camera to fill an area on a layer with the unique Camera Fill feature. User can quickly combine images together. Select part of an image to extract just by scribbling with the Scribble Selection tool. With the Refine Edge feature, use your fingertip to easily capture hard-to-select image elements, like hair. Photoshop touch let you start a project on your phone and finish it on your tablet* or back in Photoshop** at your desk using a free membership to Adobe Creative Cloud™. *** Your projects are automatically synced between your devices. Work on high-resolution images while maintaining the highest image quality. Images up to 12 Mega Pixels are supported. • Most powerful and best in the segment photo editing app. • Smooth transition from tablet app. • Hefty of features and tools; you will not miss the desktop version. • Stable with Android 4.0 and above. • Consumes lot of battery power, even while being familiar with functions you will spend more than 15% of your device’s battery. • It’s just for professionals. Obviously not a fun game, people who want to have basic editing features; the app is overkill for them. • In app tutorials are not available. We are at least expecting a video tutorial. 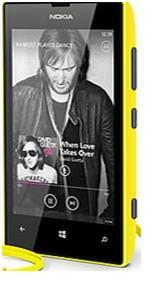 • It’s a paid one, costing around 5$ (270 INR). Yes we know that these much features and tools won’t come for free still it discourages normal user from using the quality app. You should go for the app if you have proper knowledge of desktop version of the app and if you want to have professional editing with your images. App is quite brilliant but it is made for class not for the mass. If you need some basic features, Best Antivirus for Micromax Canvas A116 will prove worth to read. Micromax Fan is an online spot dedicated to all that relates to Micromax Samrt phones and tablets such as Best Micromax Canvas HD Games. The site can also be helpful to other Android users as most Micromax products are based on Android platform. 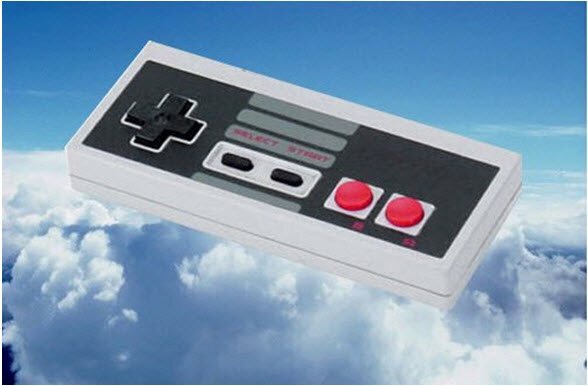 Could cloud gaming be the future? 3 Hot Rivals of Nokia 520.